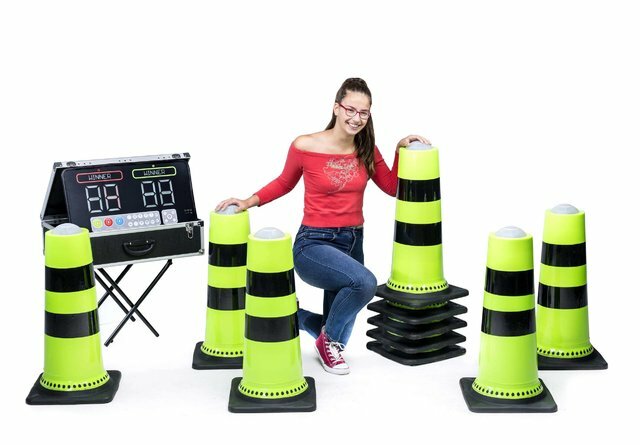 Interactive Cones are one of the best ways to entertain guests of all ages at any event! With the Interactive Play System, opponents can compete with each other with several different game modes that includes a scoreboard, lights and sounds! Super addictive, super fun and challenging! Kid and adult approved! The cones are very portable and can be configured any way imaginable.